Enjoy fabulous views of the of Costa Del Sol Golf Course from this beautiful home in private, gated Finisterra On The Green. This community comes with Mission Viejo Lake privileges. Come inside to find cathedral ceilings in the dining room, living room and loft. Wood floors, freshly painted with neutral colors and a dramatic floor to ceiling stone fireplace. The kitchen looks out to the dining room and a casual eat-in area. The spacious dining room overlooks the living room with a wall of windows showcasing panoramic views of the golf course and trees. 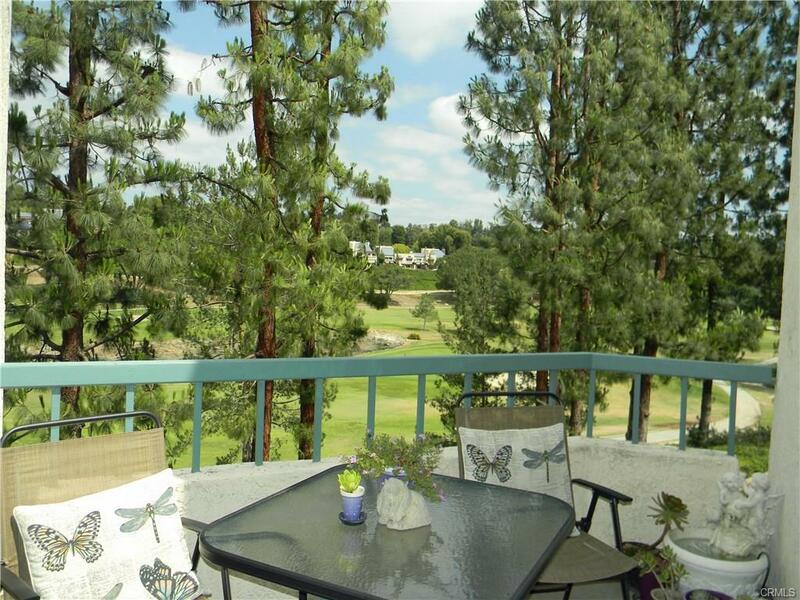 Enjoy your private balcony overlooking green trees, golf course and blue skies. The Master Suite also provides lovely golf course views from a large sliding door to the balcony. Upstairs is a fantastic loft space large enough to be a family room or office. HOA exterior maintenance and painted is scheduled 2018. Situated steps from the garage, which has great storage. 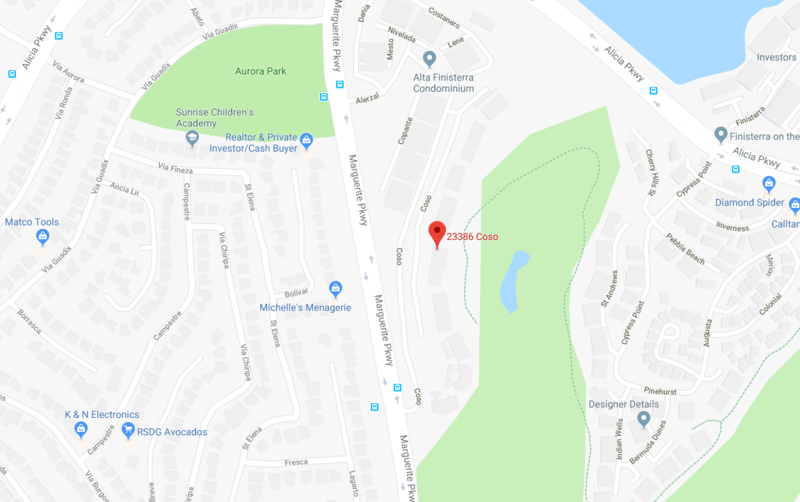 Close to Lake Mission Viejo where you will enjoy beaches, fishing, boating and more. Skip the Open House Crowds and Call Us Today for a Private Showing: (949) 229-5460.